Well, here it is…my twelfth and final tag for Ellen Hutson’s Twelve Tags of Christmas with a Feminine Twist! 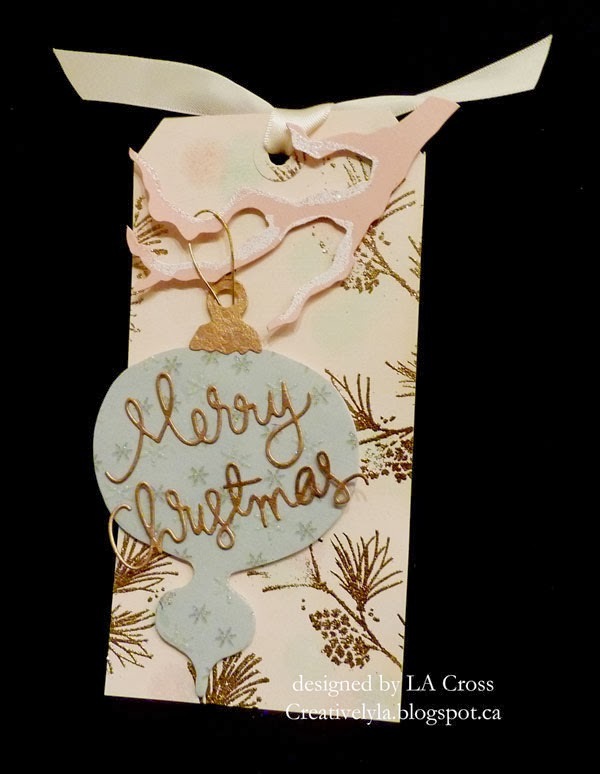 Ellen did an amazing job on this…she used Gelli prints to create the tag and the ornament. Since I don’t own any print making tools…I took a little different direction, but kept with her overall theme. Ellen did a bokeh effect background and if you enlarge my picture you may actually see it *grin*. It’s very subtle. I started out with a manila tag and stamped three soft colors of Hero Arts ink with an ink dauber. Then to soften the effect even more, I dabbed on some Picket Fence Distress Paint. Once that was heat set, I stamped the pine branches in Versamark ink and heat embossed them with gold embossing powder. 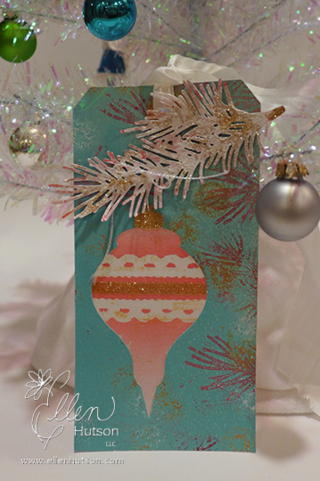 Next, the ornament is simply die cut in a designer paper that has some sparkle. The pink (yes, I know…pink, really Lee-Anne?) branch was die cut with the Tim Holtz Holly Branch and tied on the branch with gold cord. The sentiment is again die cut from a Simon Says Stamp die. A simple white satin ribbon finishes it off.